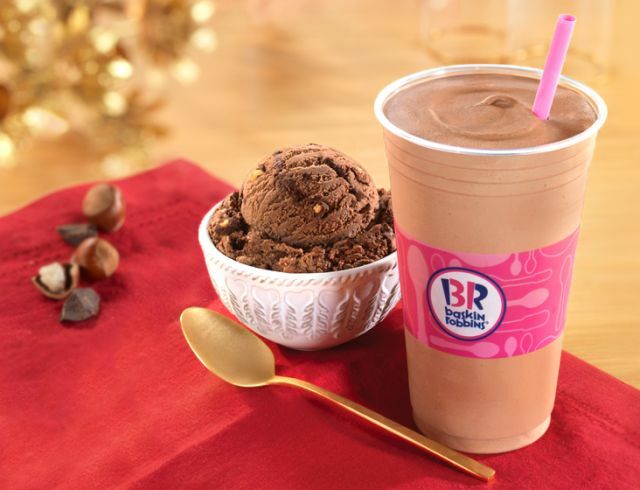 Baskin-Robbins introduces new Chocolate Hazelnut ice cream as the February 2016 Flavor of the Month. The new flavor features chocolate ice cream with chocolaty-covered hazelnuts and a hazelnut fudge ribbon. Also new this month is the new Teddy Bear Cake as a nod to the stuffed animal gifts that are sometimes given around Valentine's Day. The cake comes decorated in a chocolate icing coat with ears made of Oreos. It's accented with a red scarf and a white chocolate-flavored heart that can be personalized with a message. 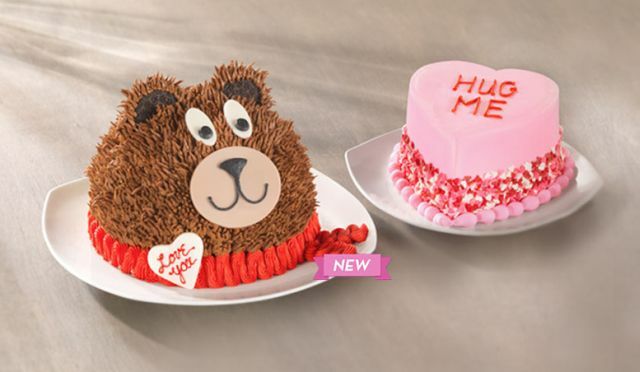 In addition to the Teddy Bear Cake, Baskin-Robbins brings back the Conversation Heart Cakes, which can include a Valentine's Day message like "Hug Me," or a more personalized message. Both cakes can be made with any ice cream and cake flavor combination and are available for pre-order in-store or online via the brand's website.